Telstra and Adam Internet have decided to drop their acquisition deal, which was rumoured to be worth $60 million. Telstra had announced its acquisition agreement with the South Australian-based internet service provider (ISP) Adam Internet in October last year, but was met with concerns from the Australian Competition and Consumer Commission (ACCC). Other ISPs, including iiNet, Vodafone, Optus and Macquarie Telecom, also voiced their concerns that with Telstra being the wholesale owner of the fixed copper network in Australia, it will be in a position to offer Adam Internet better prices than it does to its competitors. Telstra's acquisition of Adam Internet required the approval of the ACCC, but the commission believed it would lessen competition in the market. According to the press release sent out today, Telstra's chief customer officer Gordon Ballantyne said the telco had attempted to address the concerns that the ACCC had brought up. The telco later requested the ACCC postpone its decision date, which was set to be made in February. 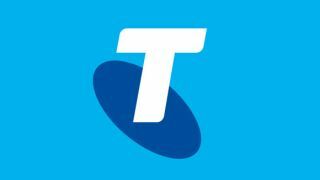 The decision to drop the acquisition came about as Telstra was not able to get the ACCC's approval of the agreement by its contractual end date of June 30, 2013. Greg Hicks, the executive chairman of Adam Internet, said: "Adam Internet is disappointed this important condition precedent could not be achieved in a commercially acceptable time frame, and therefore we will no longer be proceeding." The decision does, however, now open up Adam Internet for acquisition proposals by other companies.